It’s time to review blog monetization and progress for the last three months. I started tracking my blogging income in April of 2015, just six months after creating my first blog. The journey has been amazing and it never ceases to surprise me how blogs make money. This is a business with no educational requirements, no job interview and no work uniform. It’s also a business on which you can spend as little or as much time doing as you like. But don’t kid yourself, blogging is a business. If you want to be successful, you need to track your progress and learn what works. That’s part of the reason why I do these blogging income reports, to keep track of my thoughts and what’s working. I also do it to motivate though. I put off starting my own blogs for years because I wasn’t sure I could make legit money. Now that I know, I wish I had started years earlier. 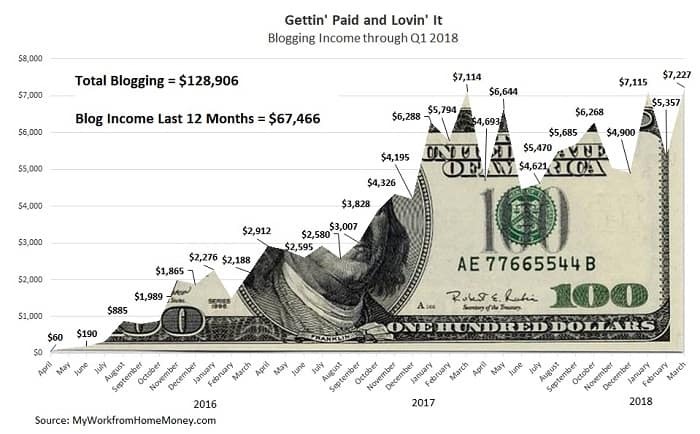 Through these income reports, I talk about the blog monetization strategies that are working and where I want to improve. I hope you can use it to find your motivation and get started. One of the best things about starting a blogging business is how fast it can grow. Even spending a few hours a week posting and sharing on social media, your blog traffic and income will grow every year. In nearly four years of blogging, I have yet to go three months that didn’t set a new monetization record over the same period the prior year. But it was close this year. 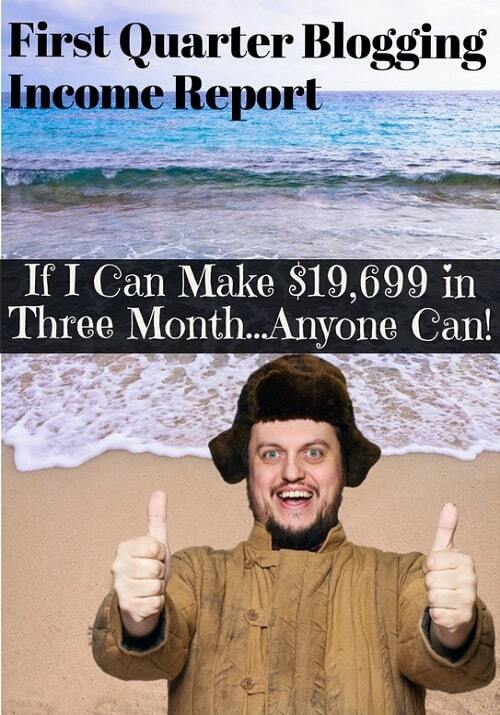 I made $19,699 on five blogs from January through March. That was better than the 2017 period but only by 2.7% (in fairness though, it was an exceptional period last year). Income was spread across four sources including self-publishing, Amazon, affiliates and sponsored posts. I also made $2,640 from freelancing over the three months but I like to separate that from my blogging income to better track my site monetization. As for expenses, I spent $1,575 over the three months to manage the sites. That includes things charged annually like site registration ($24), hosting ($110), miscellaneous services and plugins ($201), an annual conference ($500) and $740 paid to a freelance writer during the month. I like to break out my annual expenses and apply them monthly to better see how profitable the blogs are on a continual basis as well as to better plan for reinvestment. It does not good thinking you’re making thousands of dollars if you get hit by surprise with big annual bills once or twice a month. 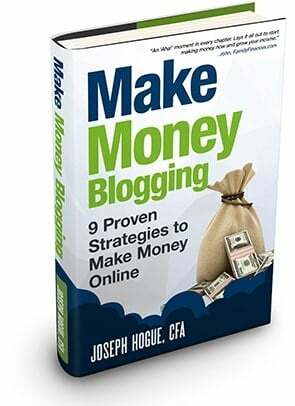 You can make money blogging if you find the right income strategies! I averaged $1,932 a month on the 10 books I have published on Amazon. I was publishing a new book every few months in 2015 and 2016 but have since refocused to developing other products. I haven’t published a new book since January 2017 and do very little each month to promote them…yet they still account for nearly a third of my blogging income. Is it any wonder why self-publishing is my favorite blog monetization source? 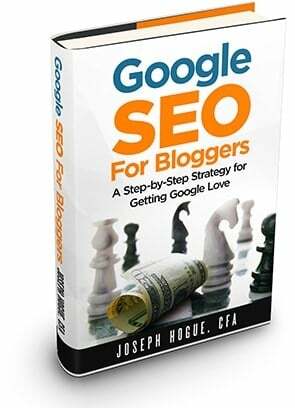 Self-publishing is a natural fit for bloggers. You’re becoming an expert in your niche and are already creating libraries-worth of content. Taking it one step farther only means being more strategic and some extra formatting to publish on Amazon. Since I haven’t been doing much with self-publishing lately, other than collecting the checks (Cha-Ching! ), I don’t have anything new to share. Make sure you check out this video on self-publishing mistakes and this guide on getting started. 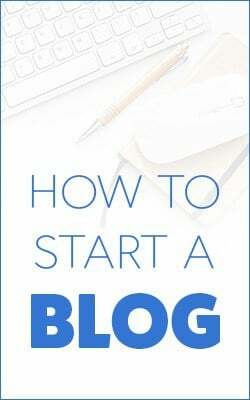 When I was first starting out blogging, self-publishing was the largest source of income because I just didn’t have the traffic to attract sponsorships or make money on affiliates. For just over a year though, affiliate marketing has dominated as my #1 source for blogging income. Affiliate commissions were a relatively consistent $3,500 a month during the quarter. I had 23 affiliates pay out a commission but, as usual, a very small number accounted for most of that money. Just four affiliates accounted for 77% of my affiliate marketing commissions. That’s an important point because it’s the same for most blogs, whether you run ‘smaller’ blogs like mine or sites that get millions of visitors. You will have a few affiliates that sell products that just seem to be a perfect fit for your community and those affiliates will account for the vast majority of your sales. Your job is to find those high-performing affiliates. Start with the need or pain-point shared by your readers. Look at your top three or four posts. What problem do they help solve? Join an affiliate network like CJ or FlexOffers and browse through affiliates that might help solve that need. Check out the ‘resources’ page on similar blogs to see what affiliates are working for other bloggers. You aren’t going to find your ‘perfect’ affiliate match right away. Sign up for a handful of programs and try them out. It won’t take long to find what really resonates with your community. Then you can focus on those few that convert. Write a focused review for each affiliate, honestly sharing all the advantages and complaints about the product. Write a comparison post, sharing all the options in each affiliate category (whether they are an affiliate or not). One of my goals for 2018 is to develop an affiliate conversion funnel for each of my main affiliates. You see, placing an affiliate link in an article and showing why it solves a problem is going to convince all of about one-in-fifty people to click through and then maybe one-in-ten to actually buy the product. You need a huge amount of traffic to make any money that way. But what if you could convert one out of ten or twenty people that read the article? That’s not just money, it’s WTF money! That’s the power of a marketing funnel and while we think of using a funnel for our own products, most bloggers don’t think about applying it to their affiliates. Someone visits an article because they’re interested in the topic or have a specific need. You offer them something extra like a free download or checklist that is hyper-targeted to that topic or need. All they have to do is give you their email or follow your social media page. Through segmentation in email providers or social media, you can keep that group separate from other followers. You then build a relationship with that person over the course of a week, over a few emails or instant messages. Your messages can be hyper-targeted to that need they had and you can suggest other relevant articles. Then you suggest the affiliate as something that has helped others with that specific need. Since you’ve taken the time to offer this person more than just a casual read, you’ve given them the extra checklist and offered them more personalized information, they’re more likely to respect your advice and trust you when you suggest the affiliate. This doesn’t mean you betray that trust by suggesting crap affiliate products that don’t help anyone. There are plenty of affiliates out there, you don’t need to partner with poor products or services. Another area where I need to work on is sponsored posts. I made a total of $3,100 during the quarter through sponsored articles on the blogs but did nothing in February. 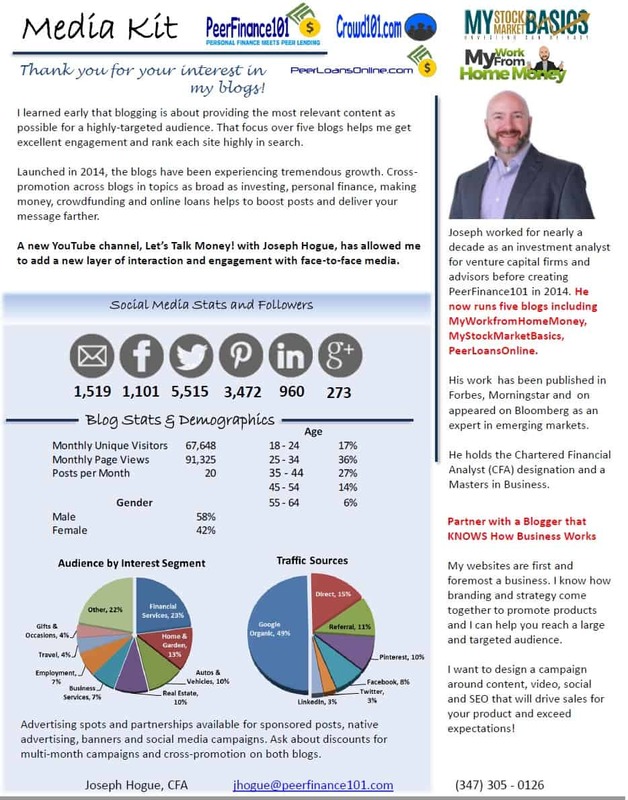 I’ve been so busy developing my self-publishing and affiliate blogging income that I’ve never done much with sponsored posts. While it’s not one of my monetization goals for the year, I am doing some things that could help increase income from sponsored posts. I updated my media kit to show to sponsors. This is a must for getting legit sponsors that will spend more than a few hundred dollars on one-time posts. One of my big goals for the year is developing the YouTube channel. Video is a huge trend and draws a lot more sponsors than traditional blogs. Most blogs start out with sponsors from spammy SEO shops just looking for links to their Bitcoin or Forex website. That’s fine and you have to make a judgement call as to the quality of sponsors you’ll accept on your blog. Wherever you start, the brand ambassador sponsorship should be the point to which you reach. These are deals with billion-dollar brands to try out and promote their products. You’ll need a fair amount of traffic and a personality that fits with the brand, but these deals bring in thousands for even a review post or video. Developing your blog around your personality so people are following YOU. It goes beyond just providing useful content. This is actually something with which I’ve struggled and need to improve. Developing a readership across different channels and media including your blog, social media and a video platform like YouTube. Being able to offer exposure to your brand through all these different platforms will strengthen your pitch to the brand. Being available to do local TV and radio spots to expand your audience and influence. Brands need to see that you’re at least a ‘minor’ celebrity in your niche or area. If you’ve read any of my other blog income reports, you probably know what I think about advertising through Google Adsense or an ad network. It can be great motivation for beginner bloggers and even some established blogs make decent money…but I hate it. There are a few ad networks that offer a good return on your traffic. AdThrive is the one I hear recommended the most but it requires a minimum of 25,000 visitors a month to register your blog. The vast majority of ad networks, including Google Adsense, pay peanuts compared to what you could make through affiliate marketing or creating your own products. Now a lot of these aren’t tied directly to blog traffic but I like to track income per visitor and compare the above with an average of $0.008 per visitor for advertising…yeah, raw deal. For that measly $0.008 per visitor average, I see a lot of blogs putting three and even four ad breaks in their articles. How annoying is it for your readers to see a ‘commercial’ four times while reading through your article? Use ads while you need to, they can start making you money instantly on a new blog, but always be developing your business into the higher-value income sources. I’m super excited about the new YouTube channel and looks like I’ll reach my 1,000 subscriber goal before the end of June. YouTube can be a huge asset within a blogging business and there’s more than a few people that have built fortunes exclusively around their video channel. I’ll be putting out a lot of great videos about blogging and other online income sources on the channel and I’d really like to see you join me. It’s free to subscribe to a channel and helps make sure you don’t miss new videos when they come out. I’m also working on two video courses this year, one on investing and another on blogging. 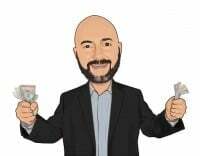 My ten years as an investment analyst and advisor made the investing course a no-brainer but my passion is in helping other people launch and develop a blog that makes money. I’m finishing the filming on the investing course now and hope to test it out with a small group of people in June. If you’d like to get the course for half-off (the discount I’m planning for the beta group), email me and I’ll put you on the list. Blog monetization isn’t something you perfect in a year. Just like any business, you can learn what works quickly but real success is a process of tracking and improvement. I’d like to think I’m doing pretty well so far but would love to hear your suggestions or what’s worked for you in your online business.